The Penguins started off the evening honoring their 2009 Stanley Cup championship team. The defending 2016 Stanley Cup champs then went out and made short work of their ECF opponent last spring. Wearing their road whites at PPG Paints Arena, the Pens made use of a big 3rd period to blow the game open and beat the Tampa Bay Lightning 6-2. Conor Sheary had a goal and an assist, Sidney Crosby and Matt Cullen each had a pair of assists, and 12 players got on the stat sheet in the win. Marc-Andre Fleury turned aside 28 of 30 shots faced, and Eric Fehr, Chris Kunitz, Scott Wilson, Phil Kessel, and Kris Letang would round out the goal scorers for the Pens. The Pens were a bit sloppy to start the game and looked like a team that hadn't played in eight days. The first period started slowly, with the Lightning getting the upper hand in play, but neither team was able to do much. Midway through the period, Evgeni Malkin was sent off for hooking Nikita Kucherov, but the Lightning didn't get much of a chance to capitalize on the ensuing powerplay. Kucherov got a shot from the point off the faceoff to start the Lightning man advantage, and with the rebound sitting just off to the right of Marc-Andre Fleury, Trevor Daley appeared to impede Alex Killorn to prevent him from getting a chance at putting the puck on net. However, it was Killorn, not Daley, who was sent to the box for hooking, and instead of a 5-on-3 for Tampa Bay it would be 4-on-4 action for nearly two minutes. Game started to pick up after the teams returned to 5-on-5. The teams traded a couple chances at each end of the ice, and Nick Bonino had a great chance to give the Pens the 1-0 lead, but after grabbing the puck and skating around the scrum in front of the Tampa net he rang the shot off the post. The Pens would get their first chance on the power play when Cedric Paquette was whistled for hooking Ian Cole, but the Pittsburgh power play wasn't able to challenge the Tampa penalty killers and the Lightning killed off the penalty without much difficulty. The teams would enter the intermission still scoreless, but it wouldn't remain that way for long. Minutes into the second period, the rebound would come to Jonathan Drouin all alone at the bottom of the circle, and he wristed the puck into the open net to make it 1-0 Tampa Bay. But it wouldn't take long for the Pens to pull back into a tie. After an extended possession in the Lightning zone that saw Pittsburgh generate several decent scoring chances, Bryan Rust would take a Sidney Crosby feed and wrist a shot on Andrei Vasilevskiy from between the circles. The puck would beat him five hole and slowly trickle towards the goal line, and Conor Sheary pounced on the puck to put it home and make it 1-1. Pittsburgh nearly made it 2-1 moments later when Eric Fehr one timed a feed from behind the net at the top of the crease, but Vasilevskiy was able to make a great glove save to keep the puck out of the net. Seconds later, it would be a Tampa Bay power play as Chris Kunitz was sent off for slashing Tyler Johnson. The Lightning would get some good pressure, but they wouldn't be able to get the puck past Fleury. Right after Kunitz was released from the box to bring the teams back to even strength, Matt Cullen would feed Fehr on a 2-on-1 rush, and this time Vasilevskiy wouldn't be able to get a piece of the one timer as Fehr gave Pittsburgh the 2-1 lead. Later in the period, Kunitz would put the Penguins back on the penalty kill when he drew a second slashing minor, this time against Jason Garrison, but like the last time the Pens were able to kill it off. And like the last time, Pittsburgh would get another odd man rush as the penalty expired, and Cullen made a great pass to spring Rust behind the defense, but Rust wasn't able to get the backhander on net. Paquette would take a stick to the face in the last minute of the period after Steve Oleksy braced for a hit following a dump in. After a bit of time down on the ice, Paquette would get up and skate to the dressing room, and Oleksy was able to escape a high sticking penalty. The Penguins would enter the 3rd period hoping to build upon their lead, and it didn't take long for them to do exactly that. 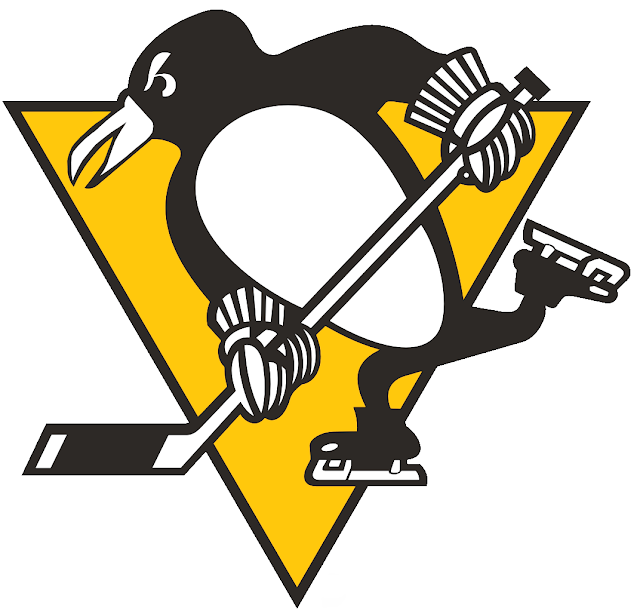 Minutes into the period, Olli Maatta found Kunitz in the slot, and his wrister rode up Vasilevskiy's left foot and into the net to give the Pens the 3-1 lead. 55 seconds later, Scott Wilson chased down a puck that got behind Anton Stralman at the Pittsburgh blueline, and he backhanded it over Vasilevskiy's glove to extend the lead to 4-1. Seconds later, Tampa Bay would have a chance to cut into the lead when Maatta caught Ondrej Palat up high with his stick coming out of the corner. The Pens nearly killed it off, but Vladislav Namestikov managed to slap a bouncing puck five hole on Fleury to bring the Lightning back to within two goals. But Pittsburgh would get it back midway through the period. Parked off the left of the crease, a bouncing puck in front of Vasilevskiy made its way over to Phil Kessel, who slammed it home to bring the lead back to three. Kris Letang would chip in power play goal late to close out the scoring.